So I regularly have my eyebrows tinted, plucked and waxed to keep on top of them, but recently I have decided to wait longer between each session and this is all because of the new 'Benefit Gimme Brow' Anyone that asks about my eyebrows (blonde) i have brown hair, wah. I get so excited to tell them about Benefit Gimme Brow. Considering everyone is so hyped up on the 'Eyebrows on Fleek' i thought this would be a good way to start of my blog. 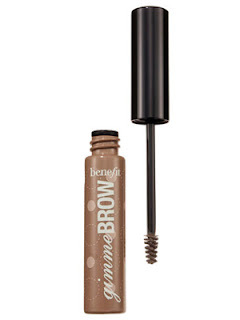 I really like Benefit Gimme Brow because its so easy, has a quick simple brush and dry's so quickly. Not only is it really easy to do but it actual keeps them in good shape for the day. It's perfect for a quick fix or between eyebrow tint appointments. So this is just £18.50 and comes in two different shades. I use the lighter one as i have very light brown hair but the darker one is just as great as the Benefit lady showed me them both on my eyebrows. Personally i think this product looks so natural yet still 'on fleek'.